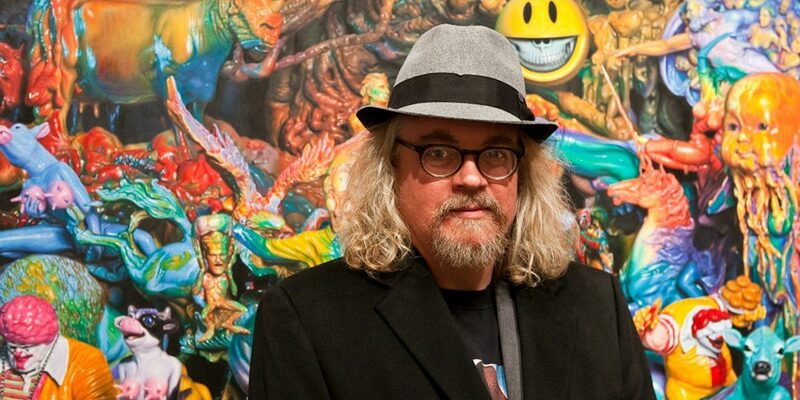 Ron English’s brand of art which he refers to as POPaganda blends elements of high and low culture to create something unique and thought provoking. He’s probably best known for his work for the film Supersize Me in 2004. DGK has tapped English for its latest artist collaboration, which will be dropping on October 16. Have a look at the teaser for this project below. UPDATE 10.17.18: DGK just released its full interview with Ron English in which he talks about his art, the DGK collaboration, and draws comparisons between street art and skateboarding. Check it out below. UPDATE 10.15.18: It’s very cool to see someone as legendary in the art world as Ron English working directly with a skate brand. His collaboration with DGK drops tomorrow. Have a look at English in the latest promo clip for the release below.